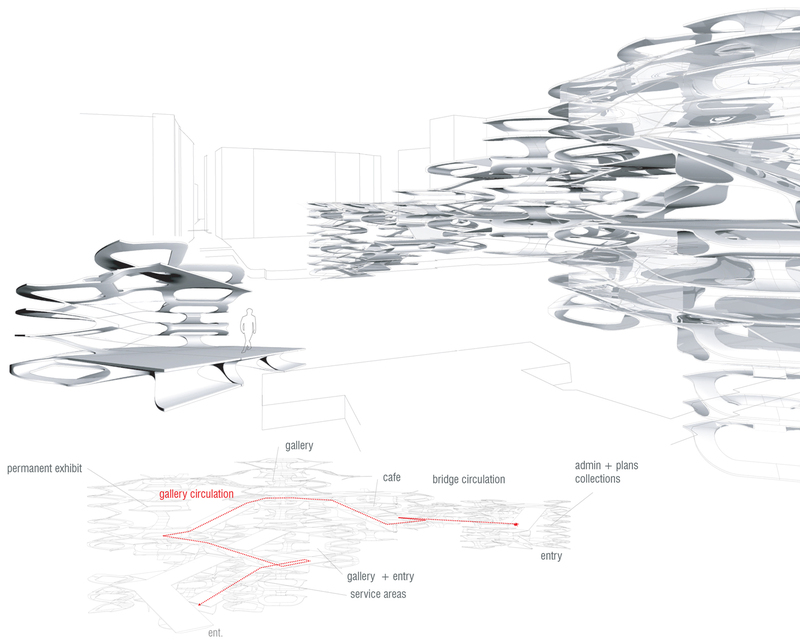 A unit system combines a series of variable parts in a multitude of possible connections to create a continuous and flexible structure. 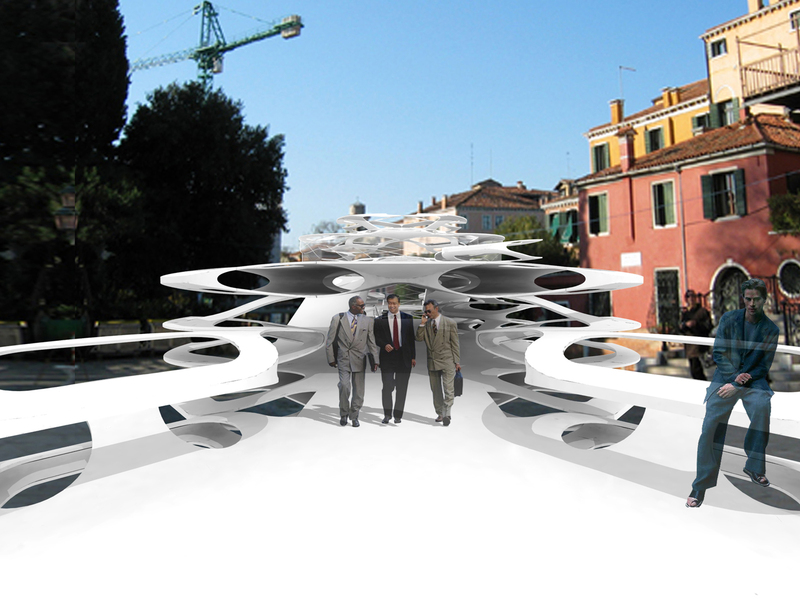 The system mimics the constructional nature of the Venetian stone tracery in the facades flanking the canal by using a series of individual units that, when combined, create larger geometric patterns and surfaces. 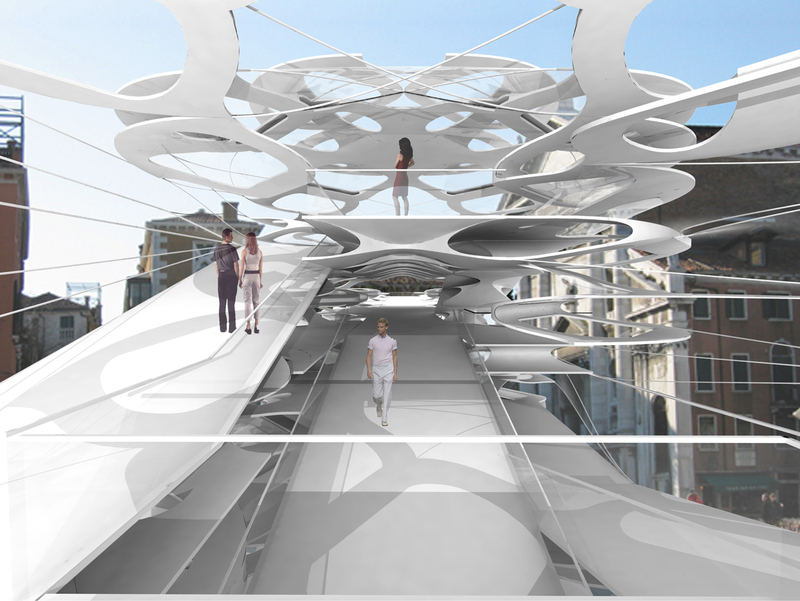 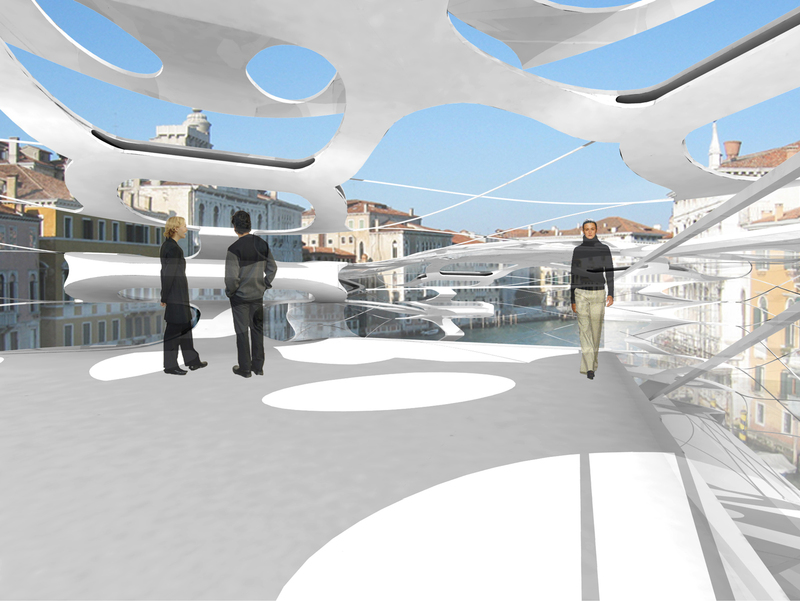 The units connect three-dimensionally to create a set of interweaving occupiable spaces and paths. 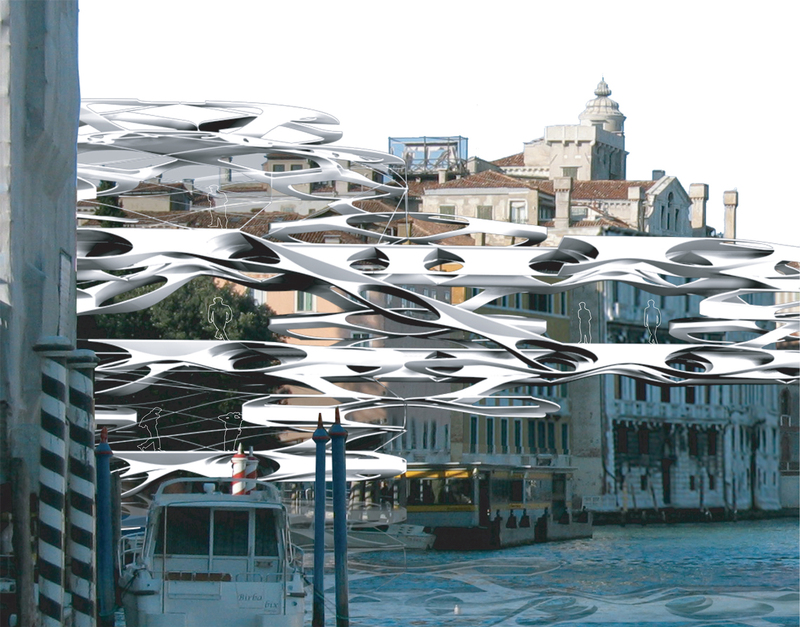 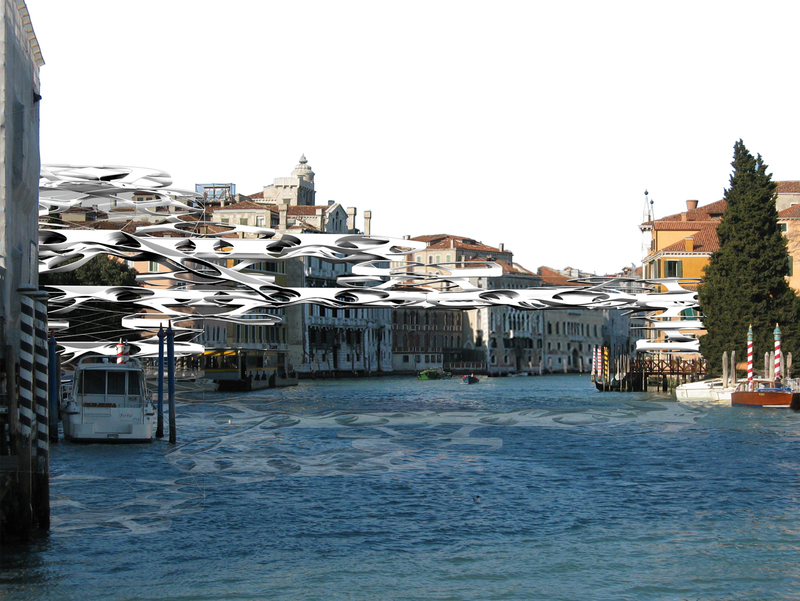 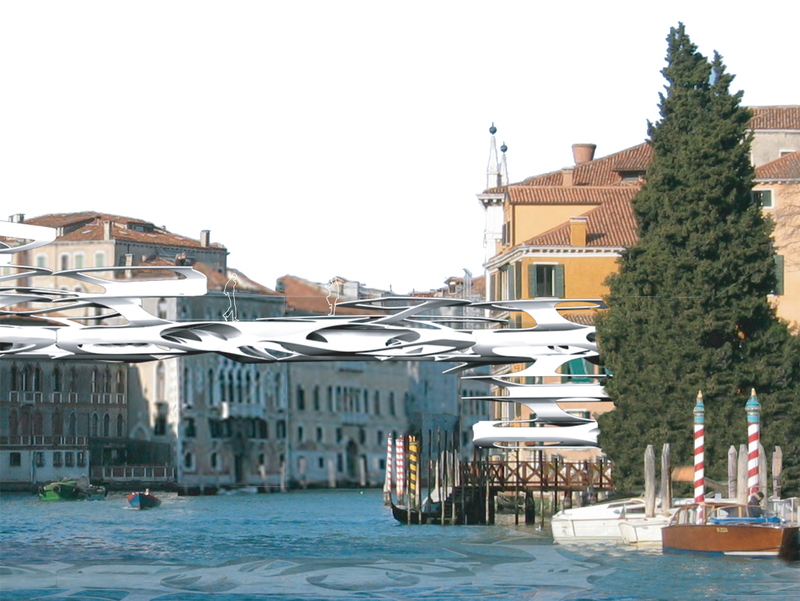 In this way the language of Venetian facades, with their light, permeable surfaces hovering just above the water along the canal, is extended across to bridge the fabric of the city, in a three-dimensional re-tracing of Venice.